While every educational stage is important to a child’s development, the elementary and middle grades are arguably the most significant. These educational years form the foundation of a child’s academic development, teaching them important skills they will then carry into their later academic and professional lives. Because of this fact, elementary and middle grade teachers play a vital role in their students’ education. By becoming an elementary and middle grade educator, it will be your job to guide your young students down the path of academic success. It may serve as no surprise that becoming an official, professional elementary and middle grade teacher requires clearing several hurdles. Your final hurdle will be the ILTS Elementary/Middle Grades exam. Much like the other ILTS subject exams, this specific exam serves as a means of gauging how much you’ve learned throughout your training, and whether you’re prepared for professional work. The ILTS Elementary/Middle Grades test spans for approximately three hours and 45 minutes. It is 125 questions long, all of which are multiple choice (“selected-response”) in format. The test will not assess your cognitive understanding of these subjects, but your practical understanding as it relates to teaching. If you’re on this page, you’re likely on the hunt for study tools to help you prepare for this important exam. Here you’ll gain access to our ILTS Elementary/Middle Grades practice test. 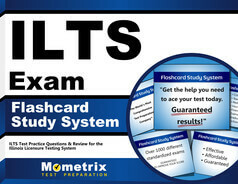 This study tool is 100 percent free and designed to give you an accurate glimpse of how the actual ILTS test will work. Each of our practice questions closely mirrors questions you may find on test day in terms of format and content, giving you the chance to learn how to approach this test and what to expect on exam day. We hope this practice test will fit well into your study plan. 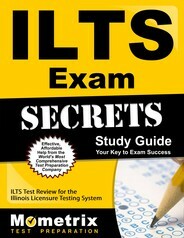 If you find you need extra help, we also offer an ILTS Elementary/Middle Grades study guide. Good luck!